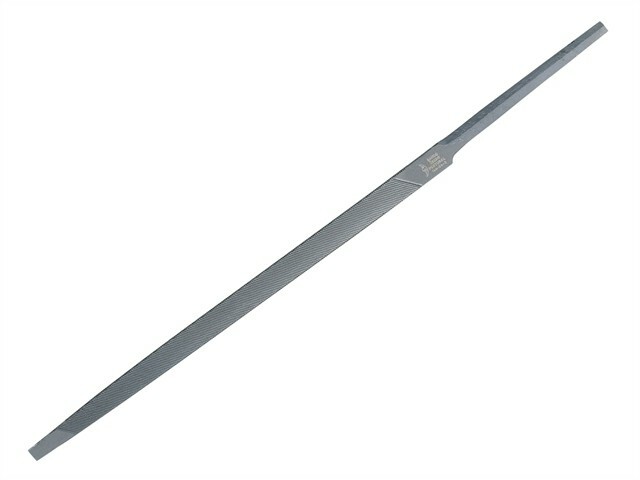 Bahco Slim Taper Saw File, has a triangular shape with edges tapering toward the point. The surfaces and edges single cut. For sharpening all types of saws with fine cross toothing. Available only in second cut.